Let be a vector field with . Then the origin is a fixed point of the generated flow on . Let be the splitting into stable, center and unstable directions. Moreover, there are three invariant manifolds (at least locally) passing through and tangent to the corresponding subspaces at . Theorem (Pliss). For any , there exists a center manifold . Generally speaking, the size of the center manifold given above depends on the pre-fixed regularity requirement. Theoretically, there may not be a center manifold, since could shrink to as . An explicit example was given by van Strien (here). He started with a family of vector fields . It is easy to see that is a fixed point, with . The center manifold can be represented (locally) as the graph of . Lemma. For , , is at most at . Note that if , we evaluate the last equation at to conclude that . This will force for all , which contradicts the second estimate that . Q.E.D. Consider the 3D vector field . Note that the singular set are two lines , (in particular it contains the origin ). Note that . Hence a cener manifold through is tangent to plane , and can be represented as . We claim that (at least locally). Proof of the claim. Suppose on the contrary that for some . Note that , and is flow-invariant. However, there is exactly one flow line passing through : the line . Therefore , which contradicts the fact that is tangent to plane at . This completes the proof of the claim. The planes are also invariant under the flow. Let’s take the intersection . Then we check that is a (in fact the) center manifold of the restricted vector field in the plane . We already checked that is not , so is . 1. Let be the doubling map on the unit torus. We also consider the uneven doubling for and for . It is easy to see that the Lebesgue measure is -invariant, ergodic and the metric entropy . In particular, and when . 2. Following is a theorem of Einsiedler–Fish here. Proposition. Let be the doubling map on the unit torus, be an -invariant measure with zero entropy. Then for any , , there exist and a subset with , such that for all , and all : . A trivial observation is , which also follows from general entropy-dimension formula. Proof. Let and be fixed. Consider the generating partition , and its refinements (separated by )…. Definition. A multiplicative semigroup is lacunary, if for some integer . Otherwise, is non-lacunary. Example. Both and are lacunary semigroups. is a non-lacunary semigroup. Theorem. Let be a non-lacunary semigroup, and enumerated increasingly by . Then . Example. . It is equivalent to show has smaller and smaller steps. Theorem. Let be a non-lacunary semigroup, and be -invariant. If is not isolated in , then . Furstenberg Theorem. Let be a non-lacunary semigroup, and . Then is dense in . In the same paper, Furstenberg also made the following conjecture: a -invariant ergodic measure is either supported on a finite orbit, or is the Lebesgue measure. Playing pool with π (the number π from a billiard point of view) by G. Galperin in 2003. Let’s start with two hard balls, denoted by and , of masses on the positive real axis with position , and a rigid wall at the origin. Without loss of generality we assume . Then push the ball towards , and count the total number of collisions (ball-ball and ball-wall) till the escapes to faster than . Case. : first collision at , then rests, and move towards the wall; second collision at , then gains the opposite velocity and moves back to ; third collision at , then rests, and move towards . Total counts , which happens to be first integral part of . Well, this must be coincidence, one might wonder. However, Galperin proved that, if we set , then gives the integral part of . For example, ; and . If are independent and , then for -a.e. , . – is said to be a strong Borel–Cantelli sequence if for -a.e. . Note that the total derivative . Therefore, is the classical action function (up to an undetermined constant). 2. Let be a family of geodesic on a Riemannian manifold . Then defines a vector field along , which is called a Jacobi field. describes the behavior of the geodesics in an infinitesimal neighborhood of a given geodesic . where denotes the covariant derivative with respect to the Levi-Civita connection, and the Riemann curvature tensor on . Let (for ) be the exponential map. Note that for all real numbers and goes to really fast: the dynamics of on is trivial. But the dynamics of on is completely different. First note that : the map is not a diffeomorphism, but a covering map branching at the origin. The following theorem was conjectured by Fatou (1926) and proved by Misiurewicz (1981). 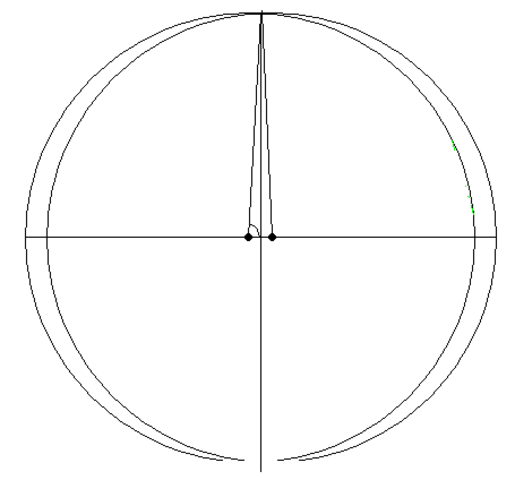 Theorem (Orbits of the complex exponential map). 3. the set of periodic points, . So the exponential map is chaotic on the complex plane. Let be a mixing system, with . The auto-correlation function is defined by . In the following we assume converges. Under some extra condition, we have the central limit theorem converges to a normal distribution. where . So exists whenever converges. – is if decay exponentially. Then also converges to . Proof. Let be given, large such that for all . Let be differentiable, and . Let and be the Fourier series. Then . Let be differentiable, and . Then converges. In particular, converge for all . 7. Let be an Anosov diffeomorphism and be close enough, which leads to a Holder continuous conjugate with . Ruelle found an explicit formula of . Let be two homeomorphisms, , and . Let . Then the map gives a shifted-vector field on , which induces a diffeomorhism . Let be a diffeomprhism. Then induces the local Banach structure and turns into a Banach manifold. Let be the decomposition of the correction with respect to the hyperbolic splitting . Then the derivative of in the direction of is given by the vector field . 6. Let be a compact orientable surface of genus , and let be a subset of . Let be a -tuple of positive integers with . The Teichmüller space is the set of such structures modulo isotopy relative to . It has a canonical structure of manifold. This post goes back to high school: the area of the symmetric difference of two -dimensional disks when one center is shifted a little bit. Let’s start with . So we have two intervals and . It is easy to see the symmetric difference is of length . Then we move to : two disks and of radius and center distance . So the angle satisfies . I didn’t try for . Looks like it will start with a linear term . Now let be an ellipse with , and be the tangent vector at . Let be the angle from to . Let be the arc-length parameter and be the curvature at . Alternatively we have . , or equivalently, . . Proof. Viewed as functions of , it is easy to see that is equivalent to .
. Note that . Therefore , which completes the verification.